The Fokker Triplane was a fighter aircraft flown by the Germans during World War I, and is also known as the plane flown by the Red Baron (Manfred von Richthofen) himself. Very few of the original aircrafts exist today, kept in safe confines by museums – but you can still down a beautiful replica thanks to Authentic Models. Their Red Baron Fokker Triplane model features careful details such as leather covered cockpit chairs, a wooden propeller, and metal struts and engine covers. Made with canvas over a wooden frame. Accents in brass, aluminium, leather and wood. Extremely detailed, with moving parts. 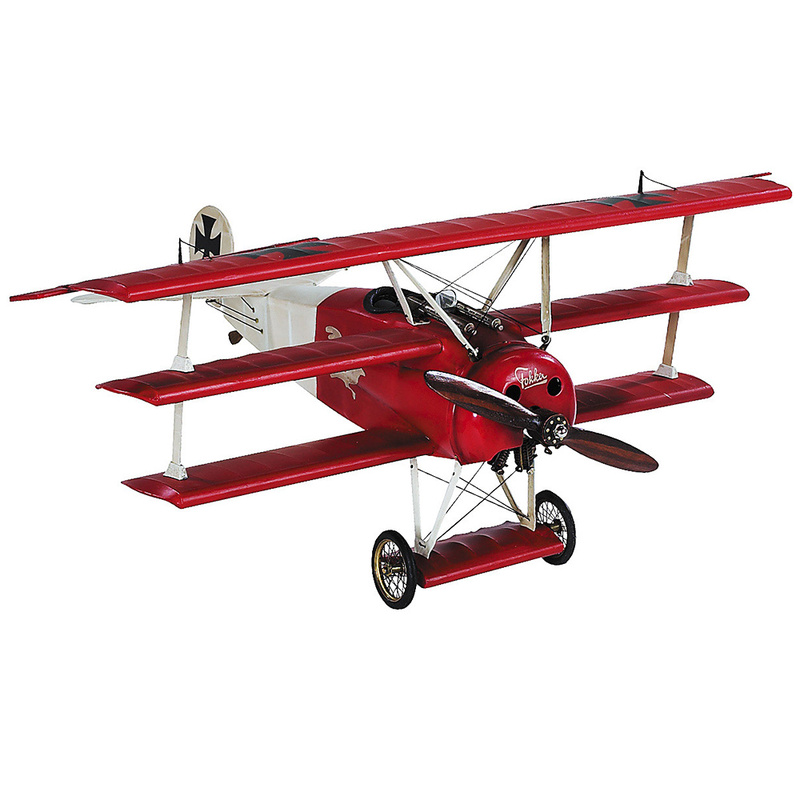 Please note that due to the fragile nature of the Red Baron Fokker Triplane model, it is available in-store only. Dimensions: 47cm (l) x 19cm (h) x 38.5cm (w).